This beaded anklet is full of colorful beads. 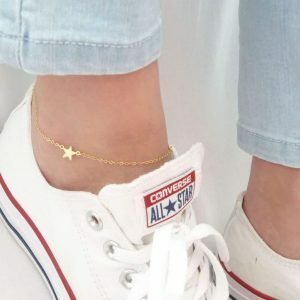 A small white shell hangs on the anklet. 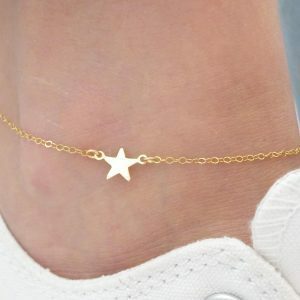 Combine this anklet with other fun ankles. Complete your look with colorful jewelry. 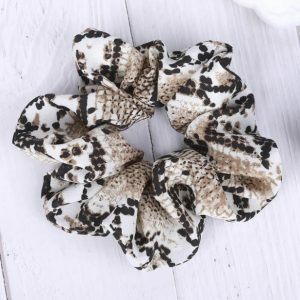 For example with a nice ibiza necklace or with stylish earrings with shells. PS: The anklet is sold per 1! 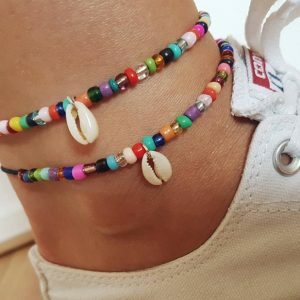 Do you have questions about this colorful anklet? please send us a message. 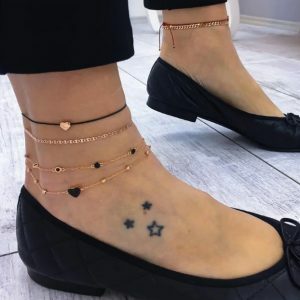 This anklet set consists of 4 nice ankles. 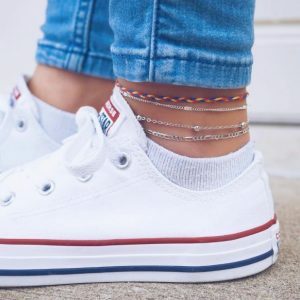 The anklet is a must-have fashion accessory that should not be missing in your jewelry box. Mix and match this anklet set with other fun anklets. Complete your look with silver jewelry. For example with a beautiful silver double necklace. 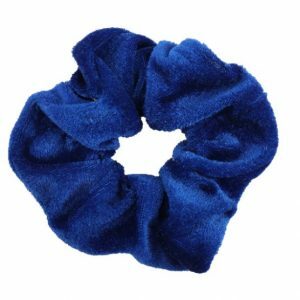 Or with beautiful drop earrings. 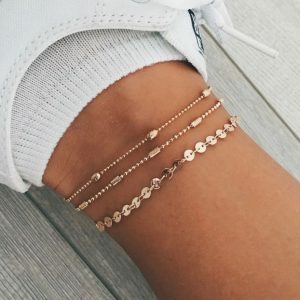 Do you have questions about this 4-piece anklet set? please send us a message. 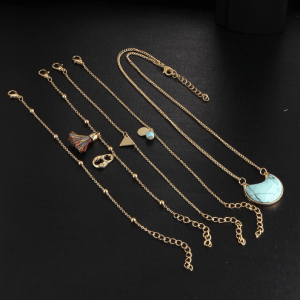 This anklet set consists of 4 beautiful golden anklets. Mix and match this anklet set with other lovely anklets. Combine it with gold jewelry. For example with a nice minimalist necklace with a heart pendant. 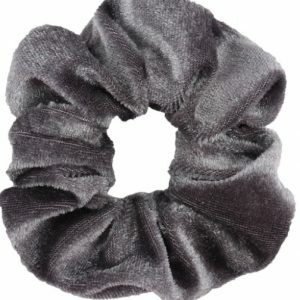 Or with long earrings. 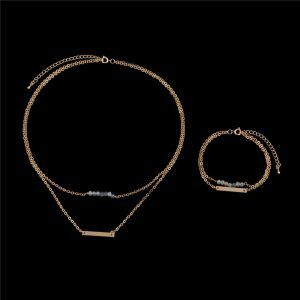 Do you have questions about this gold anklet set? please send us a message. 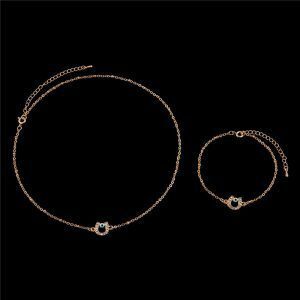 This anklet set consists of two nice anklets with a heart pendant. Mix and match it with other beautiful ankle straps for a single party! 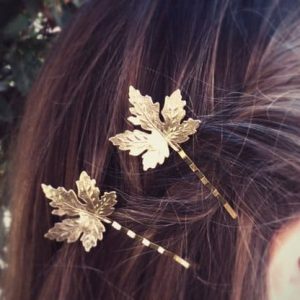 Combine it with silver or gold jewelry. For example with the popular double necklace with heart. 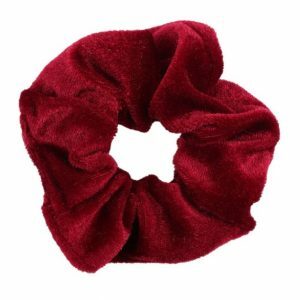 Or with a studs earrings. Do you have questions about this anklet with a heart? please send us a message? 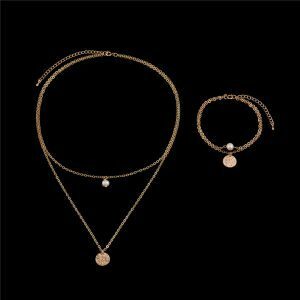 “A best friend is like a four leaf clover, hard to find, and lucky to have.” This jewelry set consists of a minimalist necklace and bracelet. 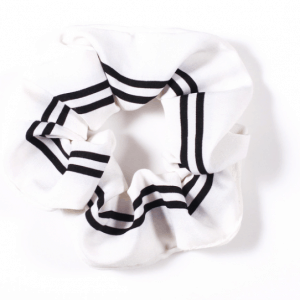 Wear the minimalist bracelet and necklace together or separately. 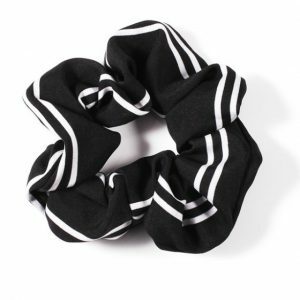 The subtle, fine design makes it easy to combine with your daily outfit. Finish your look with stud earrings or with a nice gold ring. 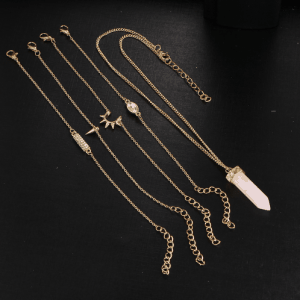 The minimalist necklace and bracelet have a bar and four-leaf clover pendant. Your outfit is only complete after you wear a piece of jewelry. Do you have questions about the jewelry set with four-leaf clover pendant? Send us a message. 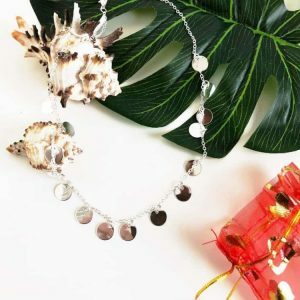 This jewelry set consists of four nice bracelets and a beautiful stylish necklace. Mix and match these beautiful bracelets with other bracelets together for an arm party! You can adjust the chain to the desired size. Complete your look with fun studs or hoops earrings. 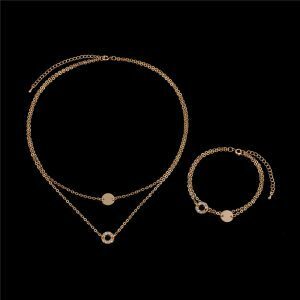 Do you have questions about the jewelry set with bracelets and a beautiful necklace? Feel free to send us a message.